"Sarah Palin endorsed @realdonaldtrump in #Iowa today, providing the #Republican candidate with a potentially significant boost just 13 days before the state's caucuses. In Iowa, where the former Alaska governor and 2008 vice-presidential nominee spent years developing support, the endorsement could be especially helpful. What's more, while #DonaldTrump has already shown the ability to garner wall-to-wall cable-news coverage, #SarahPalin's support could help him deprive @sentedcruz of vital attention in the homestretch to the February 1 caucuses. 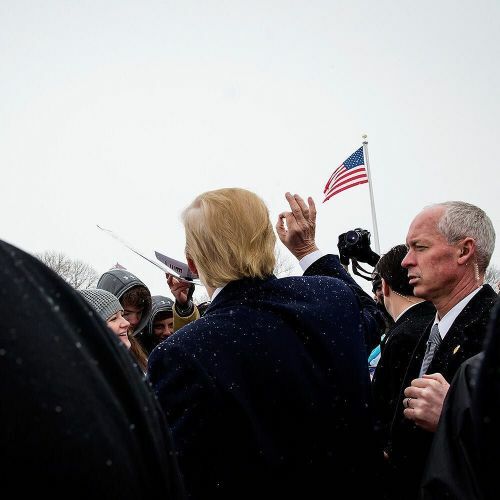 @ericthayer photographed @realdonaldtrump at a campaign event earlier today in Winterset, Iowa. #regram" By nytimes on Instagram.